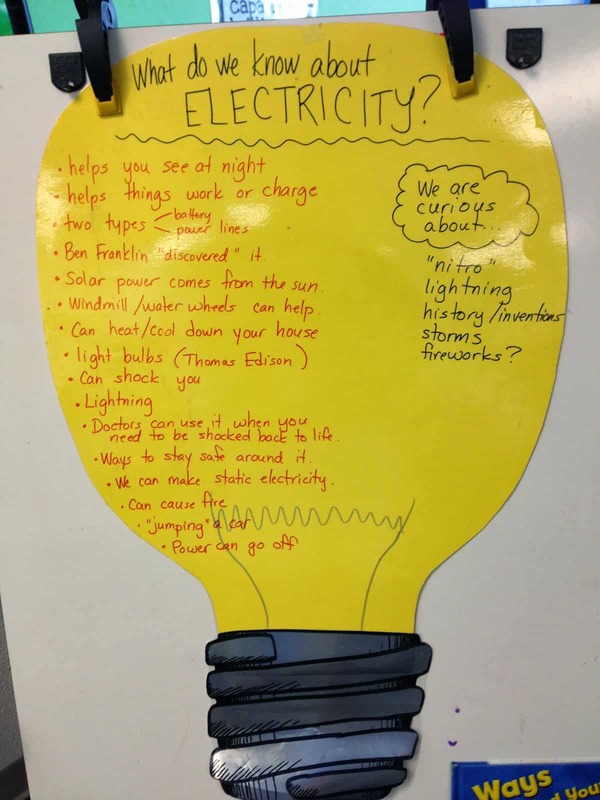 We are on day 3 of our electricity unit, and it really is one of my favorite lessons of the year. We have brainstormed what we already know about electricity and have talked about what we WANT to know. We have talked about what types of activities need electricity and what do not . . . so it’s time to really dig in! This lesson is super simple on my end! I ask the students to work alone to use the materials give them to make a light bulb light–and I give them a small bulb, a wire, and a battery. LIKE EVERY YEAR, students call out “I know how to do this!” and “This is going to be so easy!”. I smile and remind them that in our room we persevere at everything we do. And the fun begins. After letting them stumble for a while, I gave the first “hint”. I wrote the word “circuit” on the board and asked them what word it reminded them of. 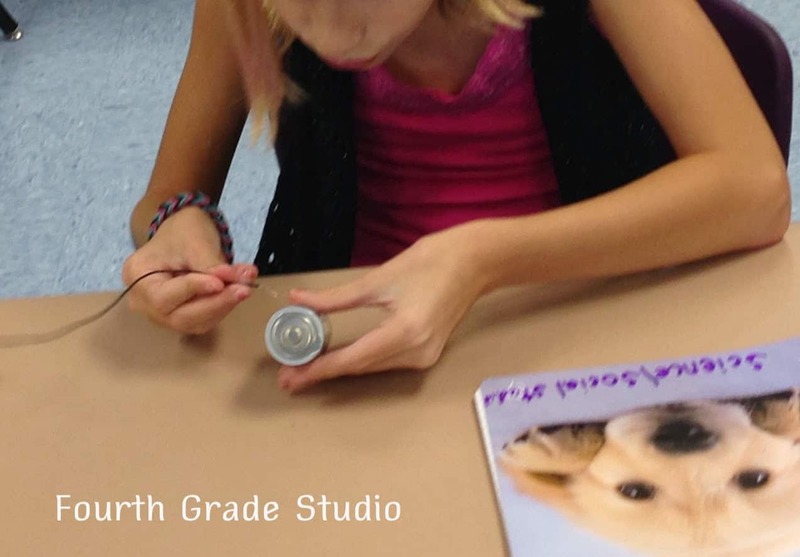 “Circus” and “circle” were the big winners, and I told them that they were trying to build an electric circuit–and the word is based on the word circle. “OHHHHHHHHHHHHHHHH!” rang out across the room and they got back to work. Within about one minute, my first “I GOT IT!” echoed across the room and I sent him to his desk to create a scientific drawing of his circuit. Over the next 10 minutes, “I GOT IT!” continued to ring out and those who were getting frustrated were given coaches who were directed to give hints but to NOT touch the materials–to just use words to help. 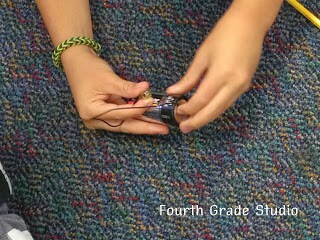 By the end of the session, everyone had made the light bulb light (except for one who refused help . . . and we talked about how he missed out by doing so!) and had a rough sketch in their science notebooks. More about scientific drawings later! It was a heap of fun as usual. 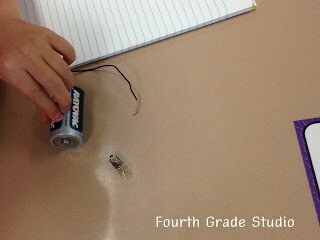 I am working on putting all my electricity stuff together in a unit for those of you interested in giving it a try! I’m hoping to have it finished in the next two weeks!